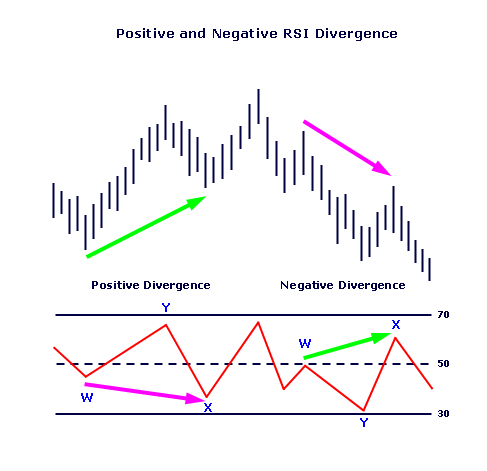 he Relative Strength Index, or RSI, is a momentum based oscillator. Not to be confused with the relative strength comparison method, the RSI compares a stock's recent gains to its recent losses. 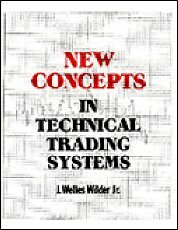 The RSI was first introduced by Welles Wilder in his 1978 book, New Concepts in Technical Trading Systems. Wilder chose a 14-day look back period which is derived by taking half of the 28-day lunar cycle. 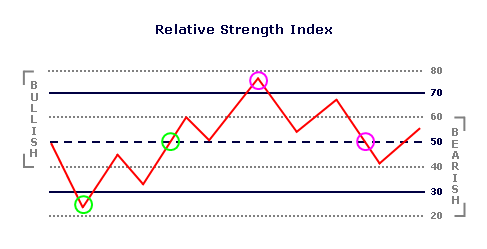 There are many ways to interpret the relative strength index. First, it can be used as an over-bought/over-sold indicator. Wilder used 70 and 30 to mark these levels. If the indicator rises to 70, then turns down, it is considered a bearish sign. Conversely, if the indicator moves to below 30 and then turns up, it is taken as a bullish sign. Additionally, the crossing of the 50 line may confirm a trend change. However, experience shows if the RSI oscillates between 80 and 40 the stock is in a bullish mode. If it bounces between 60 and 20... it's bearish. "How is the Relative Strength Index applied?" A powerful way to use the relative strength index is by letting it signal possible price reversals. This is done by identifying areas where the price of the stock diverges from the value of the RSI. There are four types of divergences: bullish, bearish, positive and negative. At first, this may sound redundant... but, the latter two have some predictive value and are best explained through chart examples. 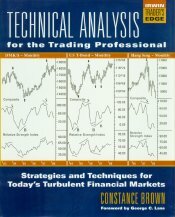 Author and trader, Andrew Cardwell discovered two other types of divergences which he called positive and negative. 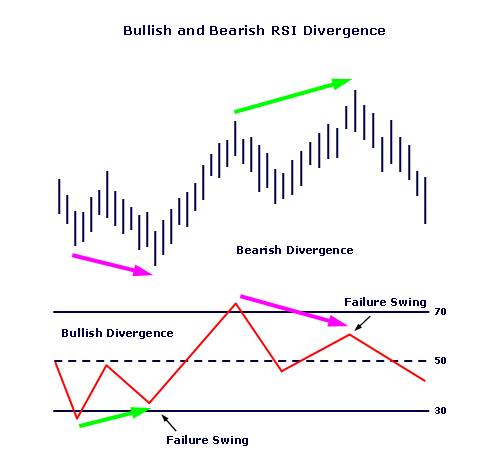 These divergences are found in every phase of a stock's movement... whether it's trending or range bound. The beauty of positive and negative divergences is their ability to forecast price movement. Finally, the relative strength index can be used to identify whether a stock is trending or is trading in congestion. 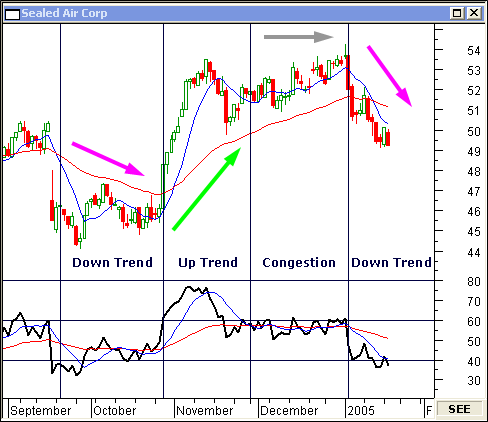 By applying moving averages to the RSI and the stock's price, you can determine the likely movement of the stock. In the following chart, a 9-period simple moving average and a 45-period exponential moving average have been applied to both the price and the RSI of the stock. THEN: Trend is sideways to up. THEN: Trend is sideways to down.